Avengers Infinity War saw Thanos successfully collect all six Infinity Stones and murder half the universe. And with Avengers Endgame arriving this April, the survivors will be working out how to undo the Snap. But even if they are successful, surely Thanos could just do it again? Well, a popular new fan theory claims he can never repeat the Snap and here’s why. Reddit user thomascgalvin writes: “At the end of Infinity War, Stephen Strange traded arguably the most important piece in the game, the Time Stone, for a single man, Tony Stark. The question is, why? “My theory is that Strange realised the Snap was a one-time-only event, one which Thanos, even with the full complement of the Infinity Stones, could never replicate. “First, the Snap damaged the Infinity Gauntlet. While it’s still a powerful weapon, in its current state it can probably not be used to perform the Snap a second time. They added: “When Thanos mutilated Eitri’s hands, he destroyed the only craftsman capable of harnessing the true might of the Infinity Stones. “Together, these facts mean that if the Decimation can be reversed, Thanos will be well and truly thwarted. 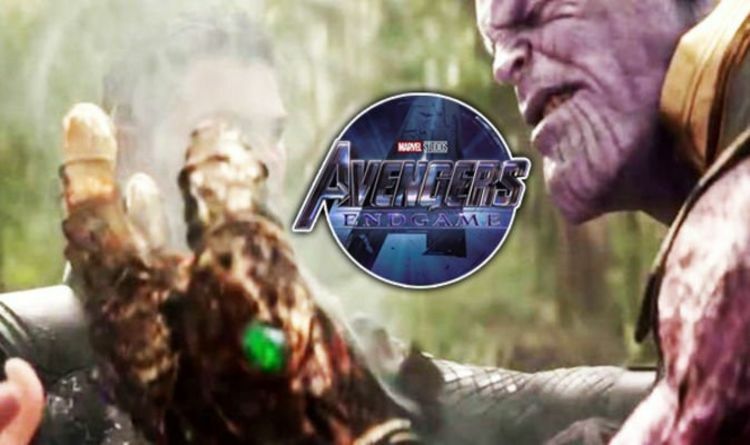 “The only issue is that Thanos could, at least in theory, use the Time Stone itself to repair the Gauntlet or Eitri’s hands. CAPTAIN MARVEL CAN TIME TRAVEL CONFIRMS SAMUEL L JACKSON – WHAT DOES THIS MEAN FOR AVENGERS ENDGAME?